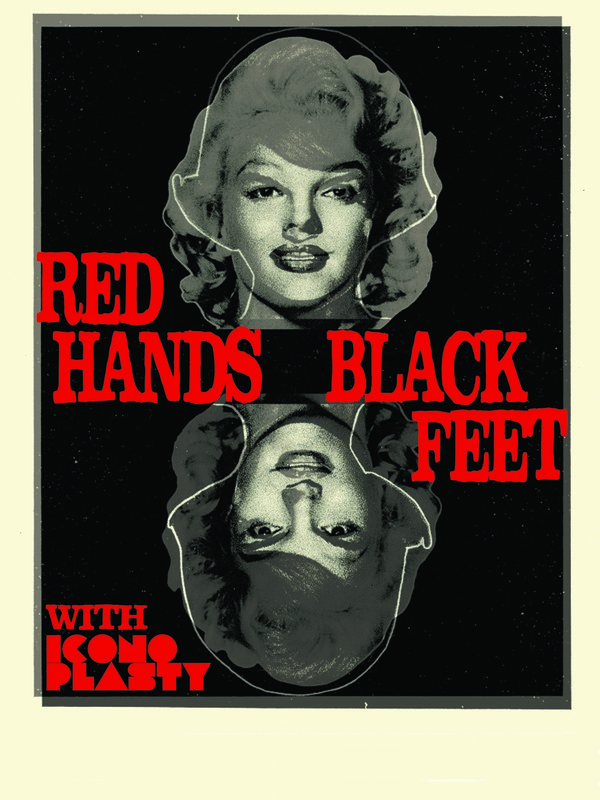 The tour poster for the Words and Music Tour with Iconoplasty and Red Hands Black Feet. Here ya go folks: one tour itinerary including all the music stops for Iconoplasty and Red Hands Black Feet and the reading stops for my new novel, The Hack. Though I’m not sure on all of the deets, they’re all free or cheap. Readings are in the mid-afternoons and rock in the evenings, except Broke Fest, which goes most of the day. Hope to see you at one or more of these venues. Wednesday, Aug. 14 at The Wax House in Idaho Falls, Idaho. With Ronnie and the Reagans, Sssnake and Leaf Raker. Thursday, Aug. 15: Reading at Fact or Fiction, Missoula, Montana. Friday, Aug. 16: Wanderer’s Tavern, in Moscow, Idaho. Saturday, Aug. 17 at Book People of Moscow. Sunday, Aug. 18 at Auntie’s Bookstore in Spokane, Washington. Tuesday, Aug. 20 at High Dive in Seattle, Washington. With Wolf Sense and Western Red Penguins. Wednesday, Aug. 21 at Orca Books in Olympia, Washington. Thursday, Aug. 22 at Last Word Books in Olympia, Washington. Friday, Aug. 23 at The Kenton Club in Portland, Oregon. With Lubec. Saturday, Aug. 24 at The Red Room in Portland, Oregon. With Ask You in Grey, The Dark Backward and AC Lov Ring. Wednesday, Aug. 28 at the 3rd Street Pub in Bend, Oregon. With Jerry’s Middle Finger. Saturday, Aug. 31. Reading at Evo’s Java in Ashland, Oregon. Saturday, Aug. 31 at Club 66 in Ashland, Oregon. Sunday, Sept. 1 at Broke Fest at Mosswood Park Amphitheater in Oakland, California. With Catwalk Con Parjaros, Little Heart, HalphoriO, Deathray, Intact, Build Them to Break and Soft Service. Tuesday, Sept. 3 at The Stork Club in Oakland, California with Weekender and The Severely Departed.